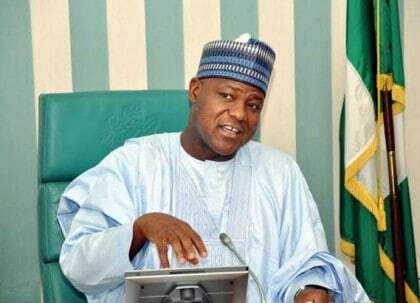 Speaker House of Representatives, Yakubu Dogara has called for adoption of direct voting method for Party Primaries where all card carrying members of parties are allowed to vote to choose candidates that will represent their parties in elections. Dogara said this method of voting would make primaries of political parties to be transparent and truly democratic. The Speaker said this while responding to a request from a delegation from the Conference of Female Parliamentarians of State Houses of Assembly, led by its chairperson, Hon Elizabeth Ativie, at the National Assembly, that Option A4 should be included in the Electoral Act. He argued that direct primaries is more effective in choosing the true candidate of the people because it takes away the option of manipulation of a few delegates by interested parties who have more financial or political influence. Speaking on the merits of Option A4, he said, “it is there in most of the Constitution of our political parties where primaries are supposed to be by direct or indirect means. But in most cases, most political parties, if not all, have always opted for the indirect primaries. To be more candid, direct primaries can help even in general elections because once a candidate emerges under those conditions, you will know that he is generally accepted by the people. “When it comes to the delegate, it has always been very easy for political actors to manipulate the process. In some cases, someone will house the entire delegates. If he happens to have a lot of money, he will house them in hotels, prevents all other candidates from having access to them and is under that process that the candidate emerges. Assuring them that the House will pass the Gender Equality Bill, he urged the state legislators to engage with their federal counterparts to ensure that a consensus is reached on the issues raised. “We are aware of the gender equality Bill. It is before the National Assembly and it is before the relevant committees of the House. I believe that this House that has the responsibility of representing men and women will do justice to the Bill. Something will come out of the Bill, it may not be 100 percent in line with our expectations but it is going to be a compromise bill that will have the effect of balancing, not overpowering one gender against the other. “We support equality but in a situation where one gender will be overloaded against the other, I think we all people of justice. And they say justice is indivisible, so justice to a woman must include justice to a man and justice to a man too, must include justice to a woman. So that it is the difficult part that we are seeking to achieve,” he added. Dogara also informed them that other areas of concerns, including indigeneship for married women and citizenship for spouses of Nigerian women, will be addressed in the Constitution Amendment exercise whose report will soon be presented to the House. The Speaker also noted that the House has been gender friendly, with every female member being either a chairperson or deputy chairperson of a committee of the House, except for one, Hon Talatu Yohanna who came in following a court verdict after all the leadership of the committees had been composed. He also urged them to support local government autonomy, independence of state legislature and seperation of powers in all tiers of government for transparency and accountability. Earlier, leader of the delegation, who is also the deputy speaker of Edo State House of Assembly, Hon Elizabeth Ativie, urged the Speaker to support women in politics by advocating for amendment of the Amendment Act to provide for use of Option A4 in party primaries, quota system in political parties and appointments for women (35 percent affirmative action), provide legislation for automatic citizenship for spouses of Nigerian woman and indigene status for women married to men from other states in Nigeria.